Dosh, the Australian maker of some of the best card wallets on the market, has recently released a brand new and unique wallet made out of solid machined aluminum. It’s Dosh’s sleekest, most fancy and geek-chic wallets to date. The Dosh Alloy is arguably a true physical adaptation of an Apple Wallet if there ever was one. Not only does it look absolutely stunning in the most minimalist of ways, but it’s also the heftiest card wallets we have ever used. Whether or not that’s a good or bad thing will have to be up to you to decide. The Dosh Alloy as it’s called is primarily made out of aircraft grade machined and anodized aluminum. 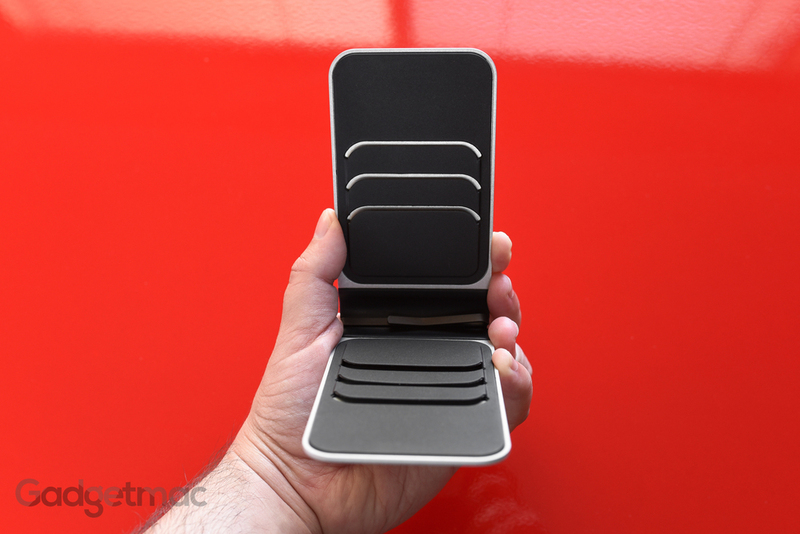 The top and bottom aluminum slabs are seamlessly attached to a robust elastollan polymer rubber hinge that keeps the wallet closed while also providing flexibility when opening it. These aluminum slabs are impressively machined out of relatively thick pieces of aluminum so they wouldn’t bend in your pocket - not very easily at least. It might be a hefty card wallet, but that’s to be expected when opting for one made out of metal. It’s got that special look and feel to it that you simply wouldn’t get with any other card wallet. That’s not to say that Dosh’s polymer made wallets are inferior because they are indeed amazingly made, durable and satisfying pieces to use. The finish is very refined with an almost stone wash finish to it and a smooth matte texture. Not quite the same finish you’d find on Apple products, but a finish that’s pleasing on its own. This wallet looks and feels fantastic. It only comes in silver and we think it could be really great if Dosh would add a few more color options for the aluminum portion of the Alloy like gray and even gold. Not to make this sound like an Apple product, but needless to say that these are colors that compliment aluminum very nicely. 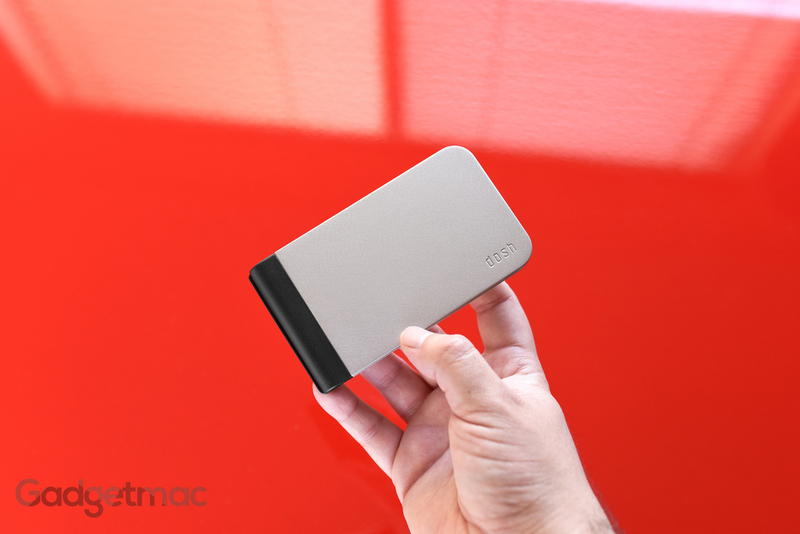 The Alloy has a slim form factor, nicely rounded corners and slips into a pocket very easily. And because it has a flat design, there's no awkward bulging and unevenness like you would normally get with a lot of other leather and fabric wallets. On the inside, the Alloy features the same familiar stacked card slots capable of holding up to 6 credit cards or any combination of cards. Cards slide in smoothly from the side and can be effortlessly pulled when it’s spending time. I've never had a card come out of its slot not even once. So yes, these are very secure holders no matter what type of card you're using. We did notice that the Alloy is slightly longer but not any wider than some of Dosh’s wallets such as the Embossed (above), Luxe 6 and Collab series. And like all of these wallets, the Alloy also has a stainless steel money clip in between the card slots for holding some USD or AUD bills making it the perfect wallet for card users that on occasion carry cash with their magical and highly convenient plastic currency. 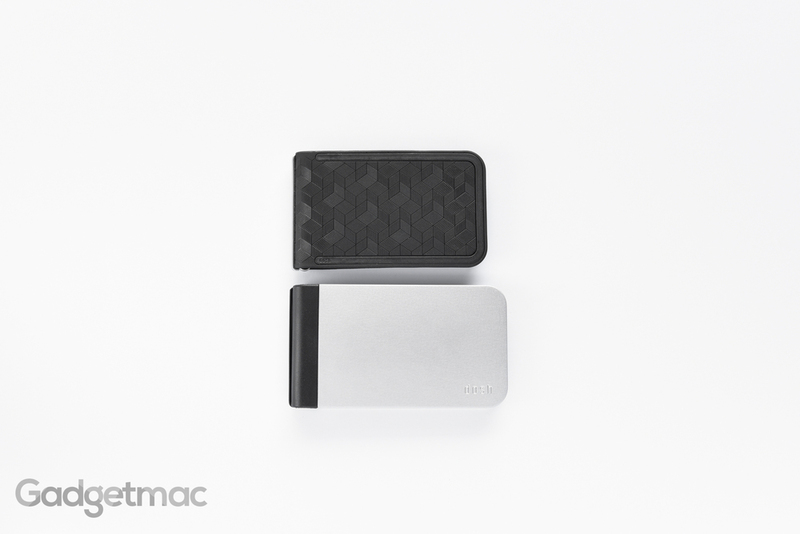 The Alloy has one last feature that naturally comes with sandwiching your cards between its solid metal construction in that it securely blocks high frequency RFID sniffing scanners from stealing your sensitive card information. 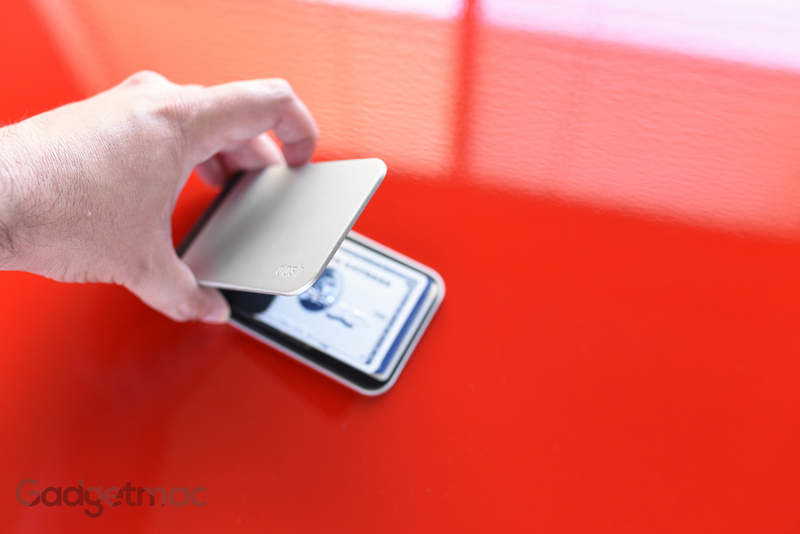 Is using an aluminum card wallet necessary? No, but it is a fancy way of treating yourself to something a little more special than the ordinary wallets you're probably used to seeing. The Dosh Alloy is well made, feels amazingly robust, looks stellar and surprisingly enough offers great funtionality with its 6 card slots, built-in stainless steel money clip and RFID blocking. Priced at $100, this is without a doubt a conversation starter that we'd easily recommend it to anyone looking for a fantastic card wallet made out of unconventional materials. If you're a fan of all-things aluminum and perhaps you own every Apple product made in recent years, the Dosh Alloy is a must buy. Just a friendly warning – be prepared for a constant barrage of compliments and interest from every person that sees you pulling out an Alloy wallet.